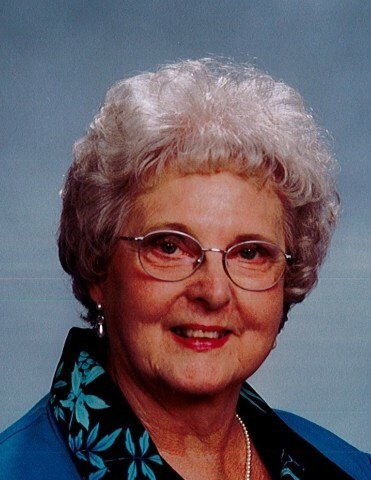 New Middletown - Joan M. Grant, 86, died early Thursday morning, March 28, 2019 at the Assumption Village. Joan was born September 26, 1932 in Ohiopyle, PA, a daughter of the late William and Verna Sarver Wilding. As a young girl, Joan's family moved to the East Side of Youngstown and she graduated from East High School, Class of 1950. In high school, Joan worked at Isaly's in Youngstown and she later worked in the check department of Mahoning Bank in Youngstown at the downtown branch. On August 21, 1954, Joan married the love of her life, Harry Grant and together they moved to the state of New York where Harry was stationed at Stewart Air Force Base in Newburgh. After the Air Force, they returned to the area where they made their home in Struthers and later the New Middletown area. Joan was a wonderful homemaker, who enjoyed baking and sewing and centering herself among family gatherings. She was a member of Christ Lutheran Church in Struthers where she served in the Women's group and the church bowling league. She also was a member of a Women and Couples Card Club. After Harry's retirement they enjoyed traveling the United States, including Alaska and Hawaii and Canada. She leaves her husband of over 64 years, Harry; one son, Dennis (Linda) Grant of Springfield Township; three daughters, Diane (Michael Jr.) D'Amico of Springfield Township; Linda (Justin) Jefferis of New Castle, PA, and Sondra (Gary) Blackson also of Springfield Township; one brother, Raymond (Diane) Wilding of Liberty; eight grandchildren, Tya, Teque, Trinity, Nicole, Michele, Marisa, Jocelyn, and Jeremy; and five great-grandchildren. In addition to her parents, Joan was preceded in death by her infant children, David and Susan Grant; step-father, Andrew Miglets; brothers, William and Robert Wilding; and her granddaughter, Ashley D'Amico. A Funeral Service celebrating Joan's life will be held Tuesday, April 2, at 11:00 a.m. at the Davis-Becker Funeral Home in Boardman with Pastor Dawn Ritchie officiating. Friends will be received Monday from 4:00 p.m. until 7:00 p.m. at the funeral home. Contributions may be made to the Christ Lutheran Church, 250 Sexton Street, Struthers, OH 44471.